Transfold Portable Stages with carpet deck surface give you the freedom to configure the right stage to create any performance environment that you can imagine. 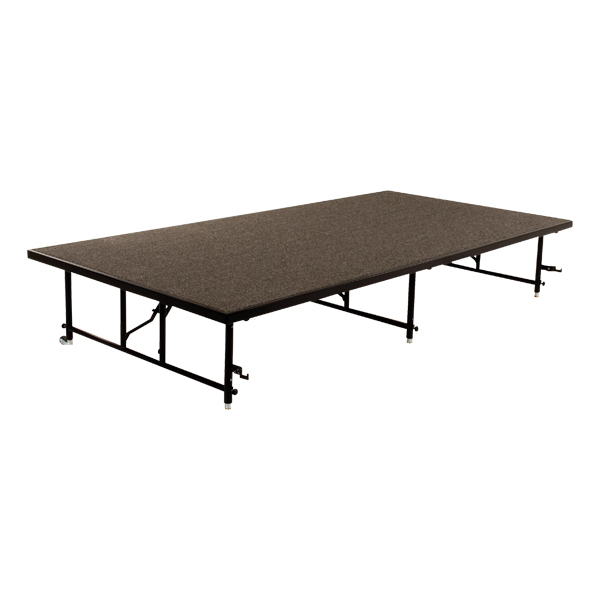 Convenient rectangular, square, arc and angular platforms, equipped with transport wheels (except 8" H units), make it easy to set up any size or shape stage. Built-in height adjustment gives you the option to create the ideal configuration for every event. Built-In mobility - Rolls into position and couples automatically as it is lowered to the floor. 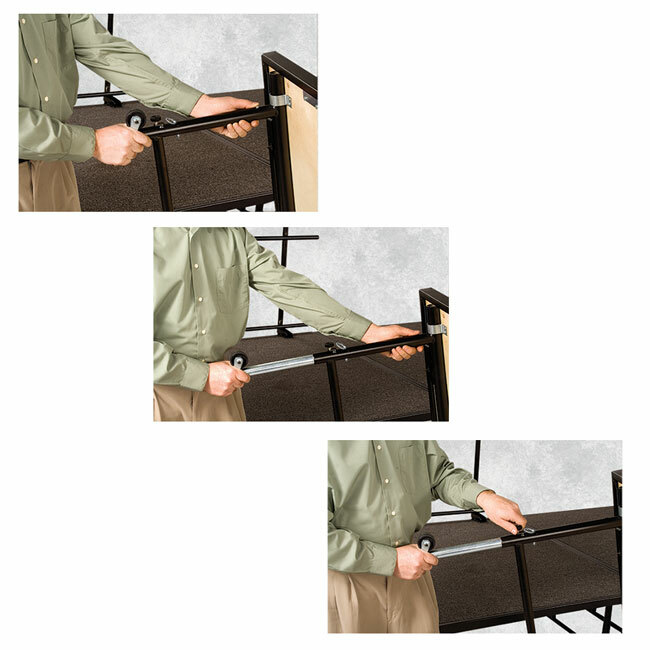 The 4 foot x 4 foot units can easily be set up by one person. Built-In Height Adjustment - Simple and secure. The legs on dual height stage units are easy to adjust. Telescoping leg inserts are secure to the receiver tubes with clevis pins, having spring loaded detentes for added security. 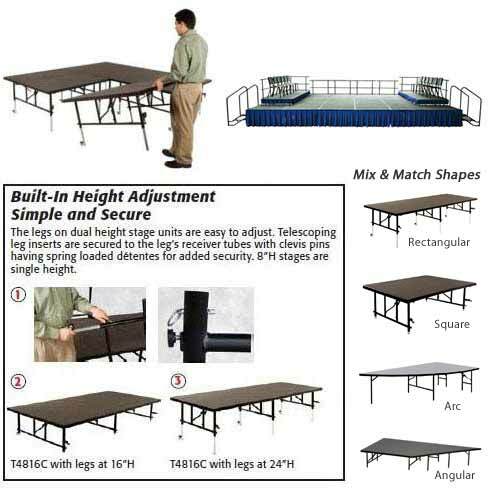 8" High stages and arc and angular shaped stages are single height. Transfold Fixed Height Stages can now interlock with Transfold Dual Height Stages. Stages made prior to 2014 do not interlock. Charcoal Gray carpet color is Quick Ship. Max Qty 10.